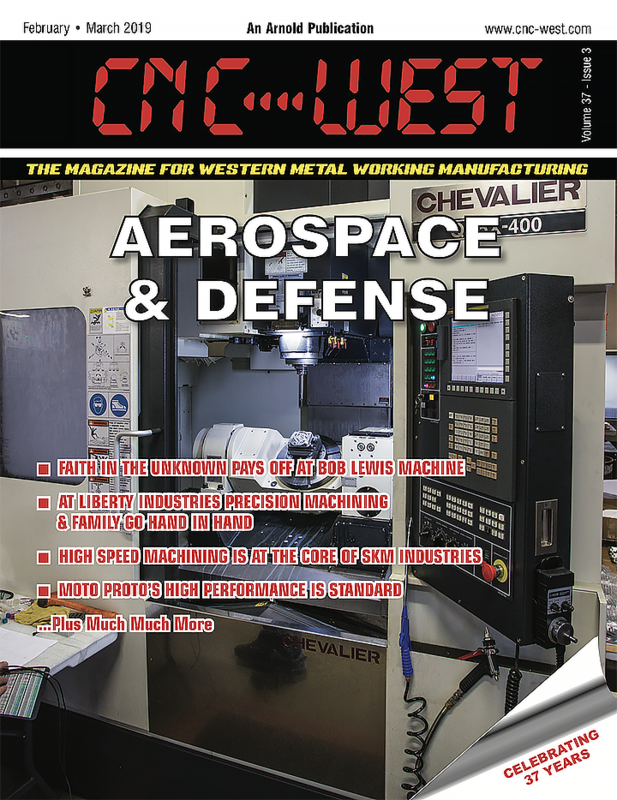 CNC WEST is a west coast metalworking print magazine devoted to machinist and metalworking decision makers in machine shops and job shops on the west coast. 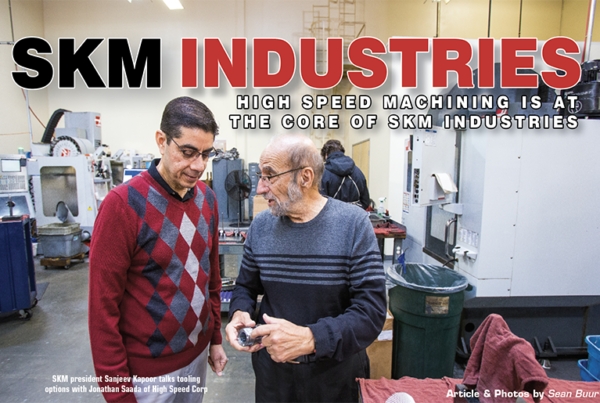 The magazine features articles on cnc machining, machine shops and the west coast metal working industry. Please enjoy this months issue below and if you would like to read previous issues you may do so by clicking here. 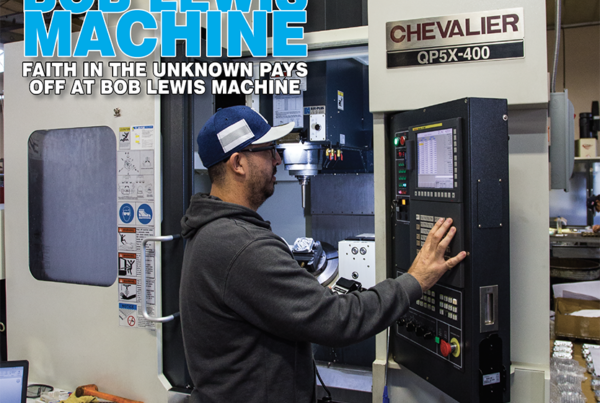 Bob Lewis Machine began in 1973 as a one-man operation out of a garage in Torrance, Ca. Bob, AKA “Pops” would churn out thousands of parts from a tiny workspace…. As I get older and the days, weeks, months and years go faster I appreciate more the time I have left on this planet and how lucky I am to do what I enjoy doing. It makes it easier to like what you are doing when you are semi-succesfull at it and at CNC WEST we are holding on pretty darn steady. When you publish a free magazine, you stay in business by selling advertising. While some wonder how we keep plugging along with print, advertising sales is certainly not a problem. In fact, 2018 was very good and projections from early advertising commitments say 2019 will be even better. Our biggest problem is getting companies to allow us to do a story on their shop. There are multiple reasons why shops don’t want us to do a story. I guess they are all valid reasons but since we do this for FREE I would think there are some shops out there that want to take advantage of this. In this issue we have four feature articles on western region shops that want their story to be told. I would like to thank them for sharing with our readers. Sean Buur does an excellent job of telling each and every shops story. 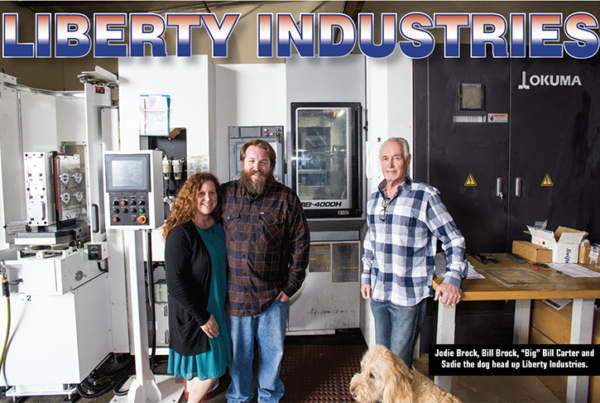 Our cover story is about a Colorado shop who makes 80% of their parts for the medical industry. In medical quality is critical which is why Hirsch Precision Products chooses top notch machine tools and checks the parts on Zeiss CMM’s. They have used Zeiss products for nearly 20 years. Another story supplied to us is about Toyota Racing Development in Costa Mesa, California. 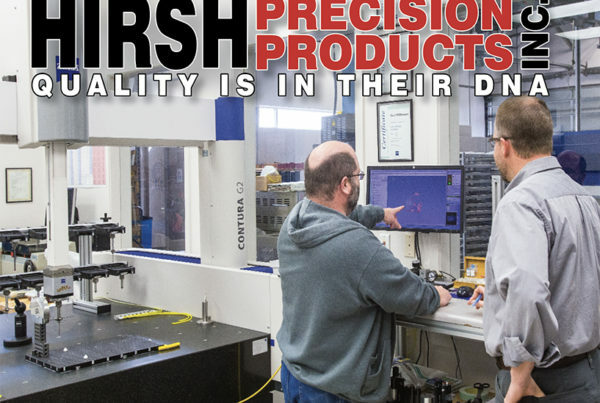 They recently revamped their shop to include a cell that includes one rail-guided robot that works from 100 open pallet positions to serve nine full 5-axis MIKRON milling machines. A LK Metrology CMM helps a Hayward, California shop check the quality on the vacuum chambers they make for various industries. They have huge machines and make huge parts but they still have to be on spec. Quality control is key for this shop. The last story was one we lucked into. While on vacation in Hawaii this past summer my wife and I were over looking a beautiful scene and thinking about a selfie. A couple walked by and asked if they could take the photo. Of course, after the photo I asked to do the same for them. I then joked I was a professional photographer as I have had photos I had taken published in magazines. He asked which magazines, I chuckled (knowing I am really not too good) and mentioned my fishing magazine and CNC WEST. The couple said they were familiar with CNC WEST as they own a machine shop in Placentia, Ca. We then chatted about his shop and he told me how it was really booming. I asked if he would be interested in us doing a story on the shop and the rest is what we call history. Read all about Twachtmann Industries on page 32. I hope you enjoy these articles and all of the other information that is jam packed in this issue. All of us at CNC WEST wish you and yours Happy Holidays and a Great New Year.